Quickly and easily create yourself a retro/vintage style logo with these 6 free customisable insignias. Open up the file, edit the text and you instantly have a trendy emblem for some fun branding or cool apparel merchandise. Every one of these logos/emblems has been constructed in Photoshop to allow for full customisation. All the text layers are editable with freely downloadble fonts and every elements is constructed as a vector shape to maintain scalability. This pack contains six high resolution PSD design files. Follow the enclosed links to download the fonts used (all free downloads) then customise the ready made logo to make it your own. The instruction “Simply clicking a text element with the Type tool will allow you to edit the wording” is not correct. I have Adobe Photoshop CS5 and the logos are not editable. Where can I find the 2 backgrounds you used for these? Can I use this for a shirt design (commercial purposes) to sell? What is the license on this great collection? can you post a list or the free fonts that we need to dl? Hi Chris, its the firs time i “use” your website im loving the stuff you have, good taste :), but i have a little problem here, where can i found the fonts to download? was you say in the top all fonts are free to download, i just don’t know where to look and what names the fonts i need have. Sorry for the silly questing but im really a beginner. Keep the good work cheers from Portugal! I’m not normally a fan of ‘clip art’ based graphics but for personal use these are very good examples. Just what I was looking for.. Thanks Chris… You Rock! Thanks a lot for sharing this awesome collection, Chris! Thanks! I love that the text is editable with the proper font! How did you manage to edit the logos? I’m trying but they are not editable. Thank you for the lovely download! Have to say thank you! Great work! Thank you, Chris for the free Customise retro logo. Nice!!! What is the name of the font used in the text “Pacific Coast” ? Beautiful work, Chris. Simple and elegant. These look fantastic but in my opinion, there is a severe over saturation of this style. Thanks! You always have great contributions to the design community. It’s appreciated! Looks lovely and extremely useful! So cool! I love retro stuff and can’t wait to use these. Thanks for the generosity. Love the retro look, Thanks! Wow thanks so much! These look great. Thanks for these Chris! Good work. These are great! 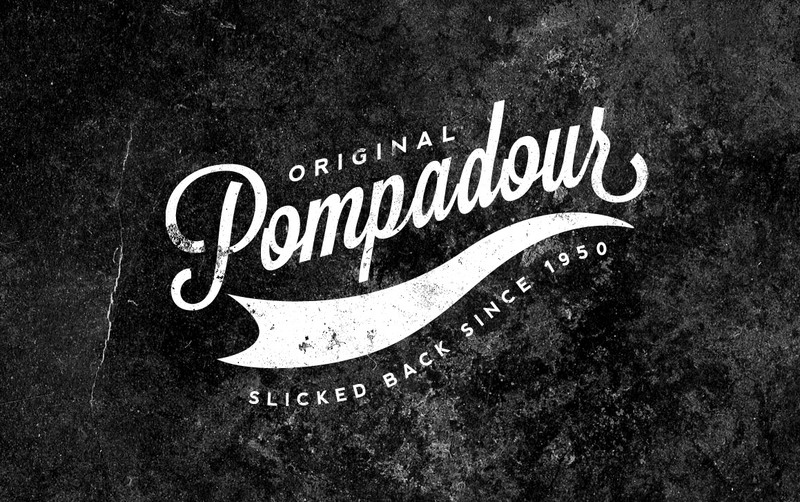 Where do you get the Pompadour font? These ideas are inspiring our work. Thanks Chris. Not only are you a cool designer, but you are also very generous! added my e-mail. and couldn’t download your free bundle. what gives?